*Affiliate links used. See full disclaimer here. 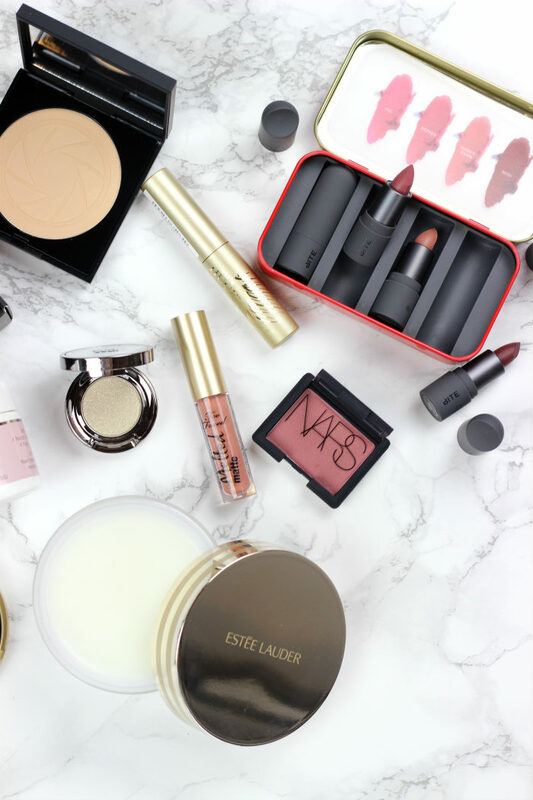 *FYI, the Sephora VIB Sale is happening NOW through 11/14 for VIB Rouge Members in stores and online (using code 20ROUGE) to get 20% off your order. 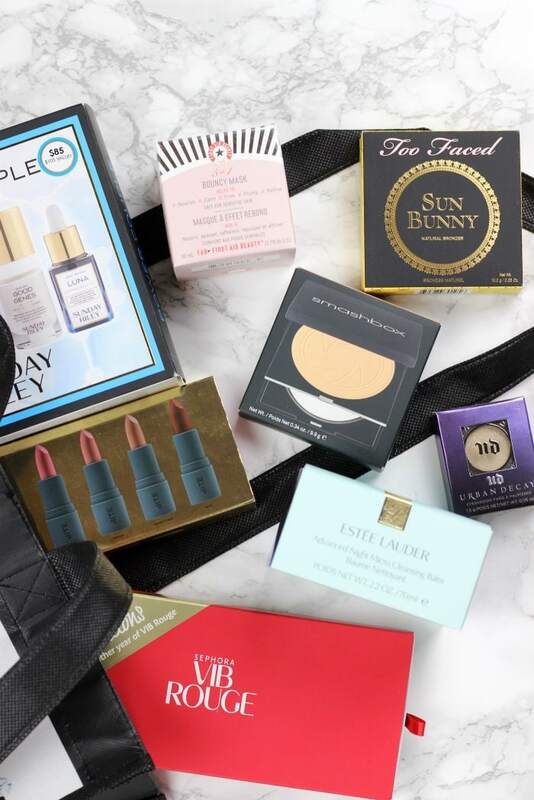 Regular VIB members get access to 20% off starting next Fri. 11/11-11/14. Discount can be used multiple times throughout the sale period. See my original Wish List and Recommendations here. No surprise if you read my Wish List and Recommendations, I definitely was picking this up as soon as possible because I fear it may sell out. A great set of four neutral lipsticks (two nudes, a rose, a cognac brown) and a safe bet for anyone – perfect for gifting, too. Bite’s lipsticks are most definitely in my top three favorite lipsticks of all time. From Sephora.com, “The silky golden warmth combined with a pink under-toned bronze mimics a natural tan without any of the orangey ick.” I had a deluxe sample of this last year and used every last bit. I loved the natural tan glow it provided and the luminosity isn’t too much on my combo/oily skin. Also, it swatches EXACTLY the same as the Hourglass Luminous Bronze Light bronzer ($50) that I had in the back of my mind… for $20 less. You can’t go wrong with ANY TooFaced bronzers. This is a repurchase for me (!!!). I rarely finish an entire eyeshadow pan. I think I know of five shades I’ve totally emptied in the nearly 15 years I’ve been wearing makeup. This is a unique shade of taupe with a slight golden/olive undertone. You need to swatch this – so pretty on any eye color and a great one-shadow look shade. I added this to my bag because I was shopping with fellow Houston beauty blogger, Nikki (LipstickandBrunch.com; check out her Sephora Wish List here), and she was selling me on this powder like it was the second coming of Jesus, lol. She said it made her skin look retouched after seeing photos of herself from an event she attended in Honduras last week. I picked this up in place of the Clinique powder I originally wanted to try (I do have some semblance of self control, I guess). I think I’m actually more excited about these purchases than the color/cosmetics stuff – which rarely happens. Because my skin is so damn sensitive, I never get to have too much ‘fun’ with skin care. However; I’ve actually tried (almost) every one of these as samples first. Bless Sephora and their samples policy. It makes my purchasing behavior so much more confident! 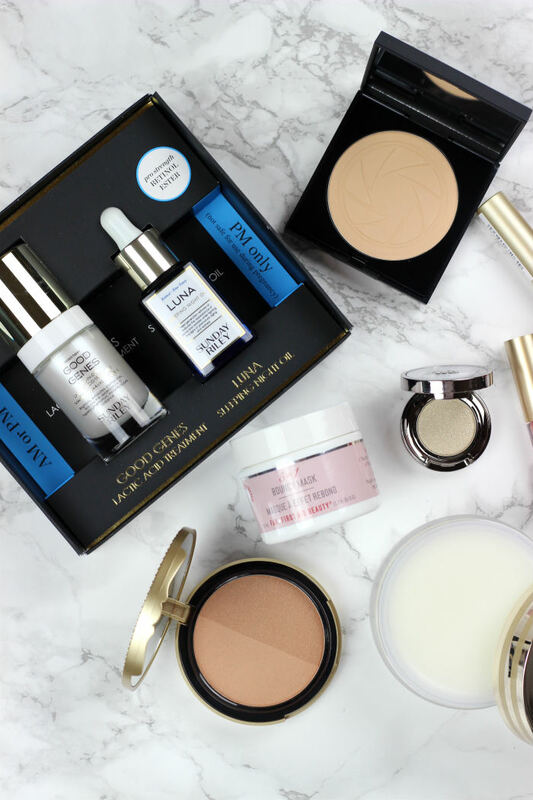 I strongly urged my readers in my Wish List and Recommendations post to pick this product up. Obviously, I’m not alone in my love of this product based on the reviews. A makeup remover, cleanser and toner in one… it’s a must try. From Sephora.com, “A transformational power product duo that combines lactic acid and trans-retinol ester to exfoliate and brighten the skin.” I picked this up because Nikki and I both were convinced of its skin-improving capabilities after talking to the Sunday Riley ambassador in-store today. I tried a sample of Luna for a month and liked it… but my Rx Retin-A is certainly a LOT more potent. I will use this on my off-nights of Retin A. I’m most interested in Good Genes because I adore chemical exfoliants and this one has thousands of glowing (no pun intended) reviews all over the interwebs. Just for fun, let’s discuss the samples I picked up because they very well may be part of a last-minute mini haul later in the week. A lightweight, long-wearing liquified deep rose matte lipstick with a creamy and matte, color-rich formula. Good for normal, oily, combo, sensitive skin, this liquid-gel hybrid toner clarifies, absorbs oil and tightens pores for clear, matte skin. Had to try this based off my blogger friend, Little Blushing Birdie’s rave review. I’ve been curious about this foundation for YEARS. No idea why it’s taken me this long to try it. This is the second sample I’ve tried of this formula. It’s more of a medium coverage tinted moisturizer (definitely not sheer/light), but I prefer that. I like formulas like this for quick makeup days when I don’t have the time/desire to really make sure my full coverage foundation is buffed in well. Now I just need to decide if I’m going to finally purchase the full size or keep flirting with it. A soft and sheer, pressed, shimmer powder blush. 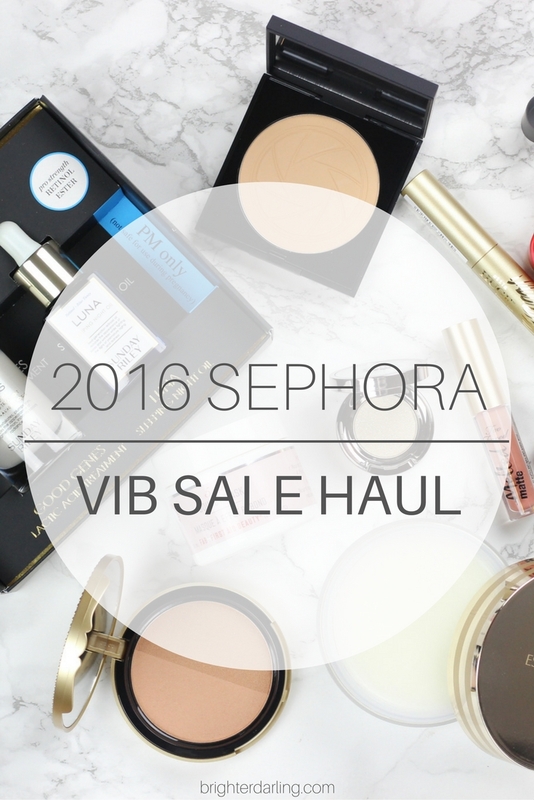 Those are the goods from my epic 2016 Sephora VIB sale haul. If I happen to pick up a couple last-minute extras (like one of those foundations from my samples), I’ll keep you all posted on SnapChat or InstaStories. Did you happen to make it to Sephora today? What did you pick up/order online? 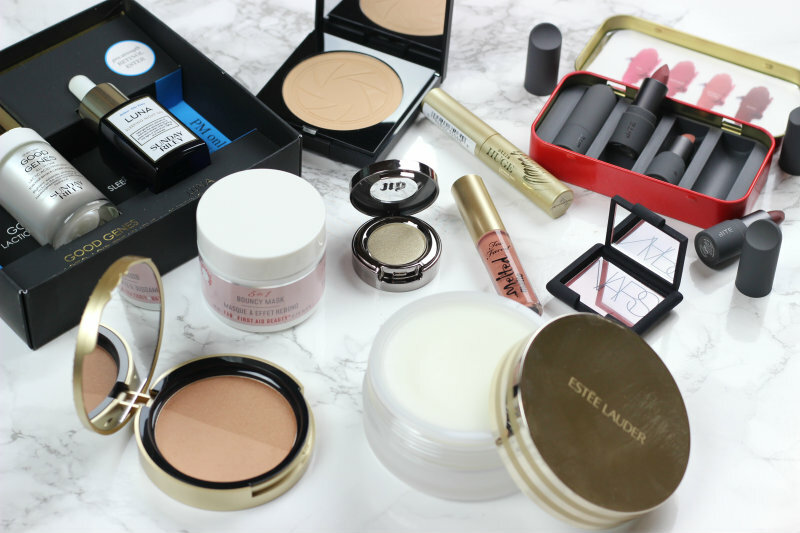 "Polished Makeup Look | Easy + Affordable (all drugstore!)" 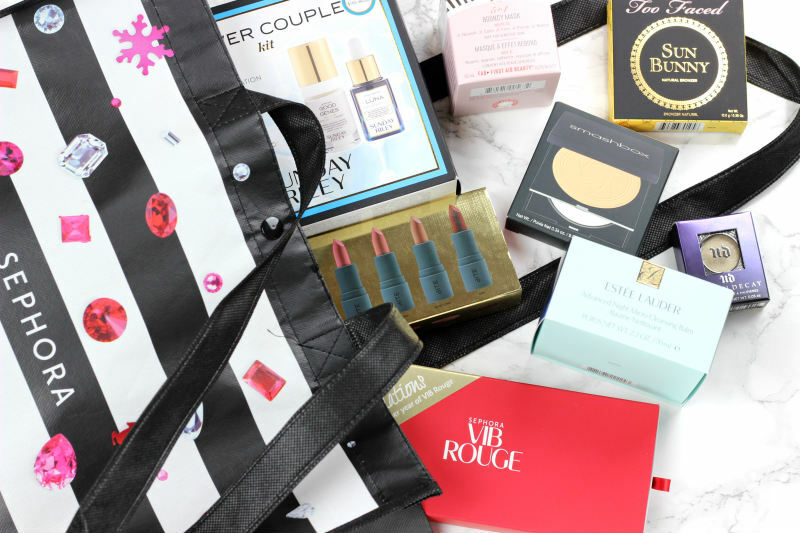 "Sephora VIB Sale Wish List + Recommendations Nov. 2016"